Damdy, a leading provider of cloud-based Asset management and Online Video Platform, has announced the launch of Media Repeater, its innovative Enterprise-CDN solution. With this new E-CDN offer, Damdy aims to enhance marketing, communication SaaS services and media delivery. The solution consists of a centrally controlled and easily scalable Enterprise Content Delivery Network (E-CDN). Media Repeater enables companies to expand Cloud security and delivery services from the Microsoft Azure Cloud to On-Premise networks. The solution avoids deploying heavy infrastructures as proxy-cache or peer-to-peer solutions. “Media Repeater is a fast and easy-to-deploy solution built specifically for companies to optimize the distribution of their live and on-demand digital content (videos, images, PDFs…)” said Julien Fauvel, Damdy VP. “With the explosion of rich media, and in particular video content, brands need to adopt hybrid solutions, which combine the scalability of a cloud service and the local efficiency of an On-Premise solution, to offer employees ultimate access and quality”. 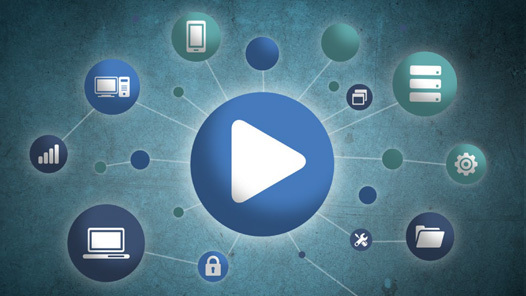 With Media Repeater, users can simultaneously connect and enjoy content, without decreasing external bandwidth capabilities. The solution detects the user’s context and, through the algorithm, automatically selects the best server to deliver content, ensuring that users are always connected to the server, which is up and running with the highest performances. Already used by global banking and insurance companies, Media Repeater offers a highly secure management and broadcasting solution (SSL, AES, ADFS...) for all digital content, on all devices. Damdy is a software editor specialized in Marketing Resource Management and Online Video Platform solutions. Hosted in SaaS mode, Damdy provides tools to manage, convert, distribute and promote digital content to specific audiences based on Microsoft Azure technology. For the second year running, Damdy has received the Microsoft Partner Gold Cloud Platform certification.